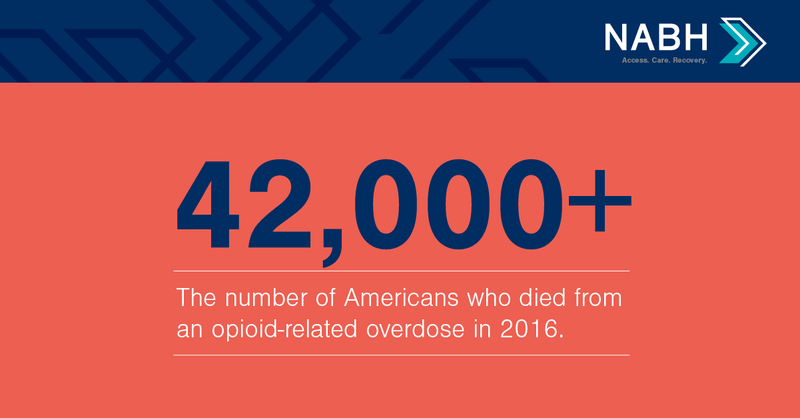 The dramatic rise in U.S. opioid overdose deaths has many drivers. 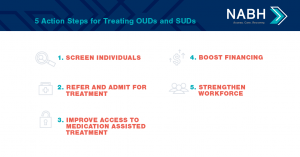 One of them, and the focus of this paper, is a frayed medical-surgical and substance use disorder treatment delivery system. 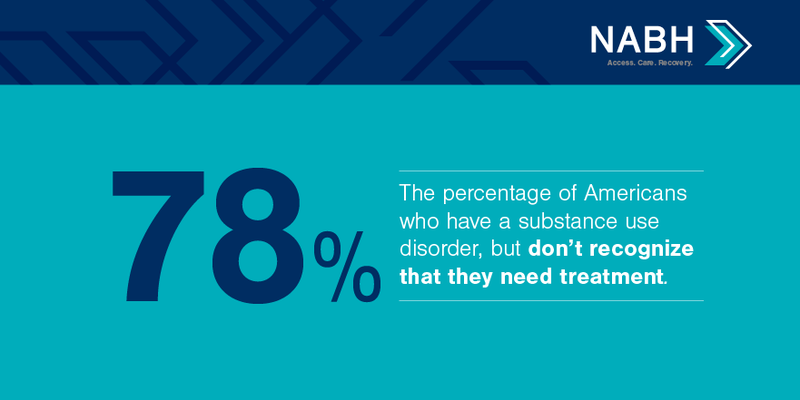 This flawed system had made access to treatment difficult, and it is contributing to an erosion in public trust. 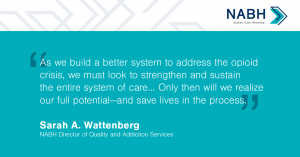 he current system is characterized by limited integration between specialty addiction care and the general medical community; low use of evidence-based practices; poorly organized services that often confuse the public; limited, inconsistent, and unpredictable financing; and insufficient workforce capacity to meet consumer demand. 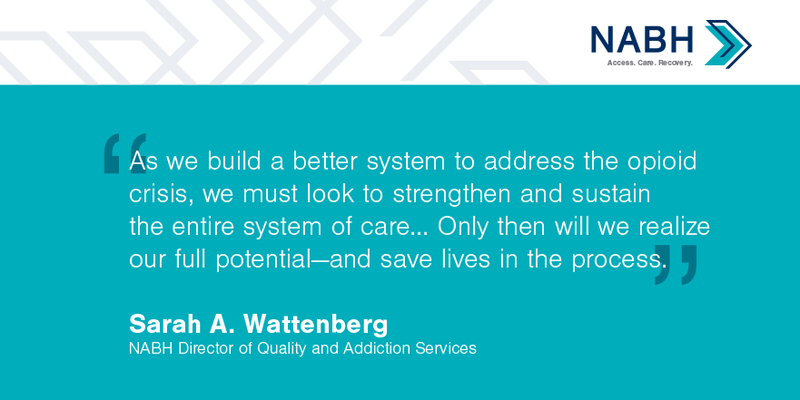 This paper is a landscape review that presents information about unhealthy substance use and how the delivery system often fails to connect people to treatment; provide the correct evidence-based services; monitor patient recovery during and after treatment; and re-engage patients whose symptoms recur. 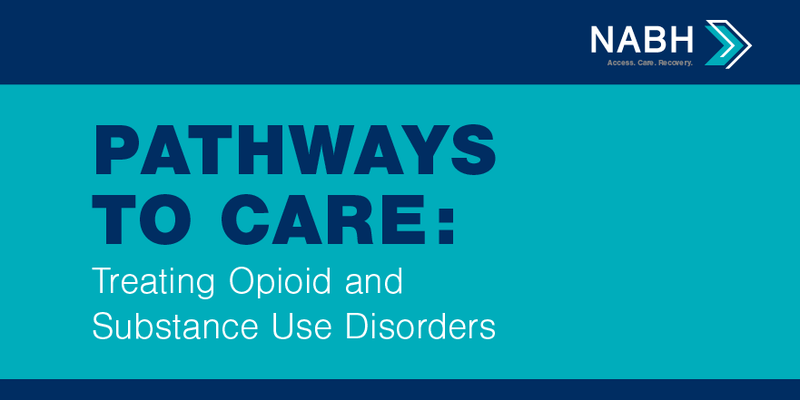 Pathways to Care also emphasizes medications for opioid use disorders (OUDs) for two primary reasons. The first reason is because medications for OUDs are wholly underused across all populations and levels and settings of care—which has subsequently increased rates of overdose, death, hospital admissions, and neonatal abstinence syndrome, and also overburdened the foster care system. 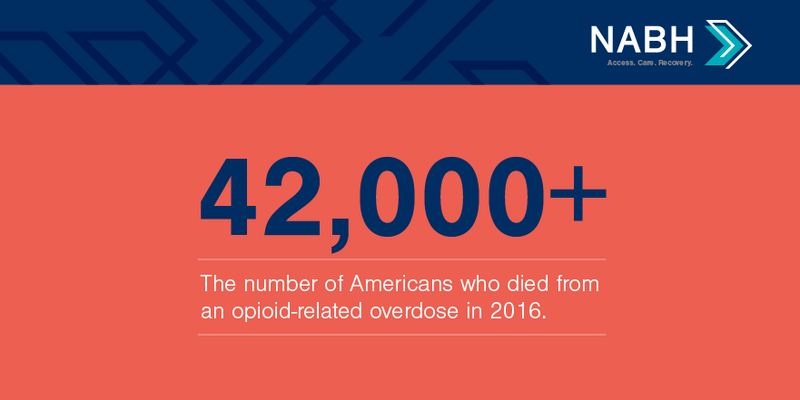 The second reason this paper underscores medications for OUDs is because if these medications are used more broadly, they could make a significant dent in our nation’s opioid crisis immediately. 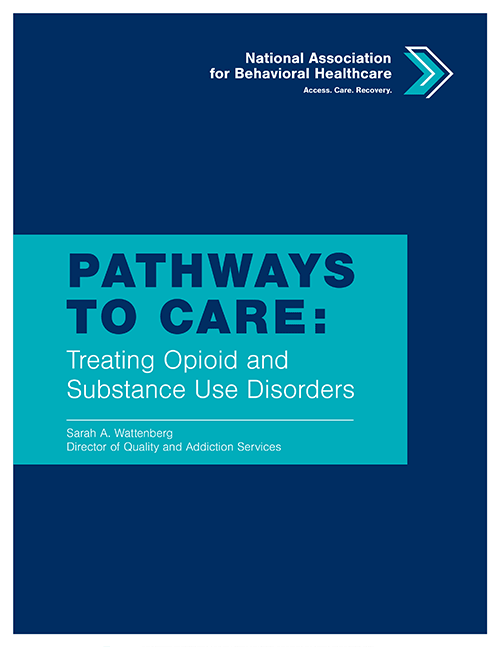 Taken together, the components featured in Pathways to Care could stop escalating substance use and mortality rates if there is a concerted effort to improve: early identification; evidence-based assessment and treatment placement; robust linkages and coordination among all levels of care; consistent implementation of science-based treatment practices, including medication assisted treatment; post-treatment monitoring and readmission management; insurance coverage and financing; the current workforce with more qualified workers. 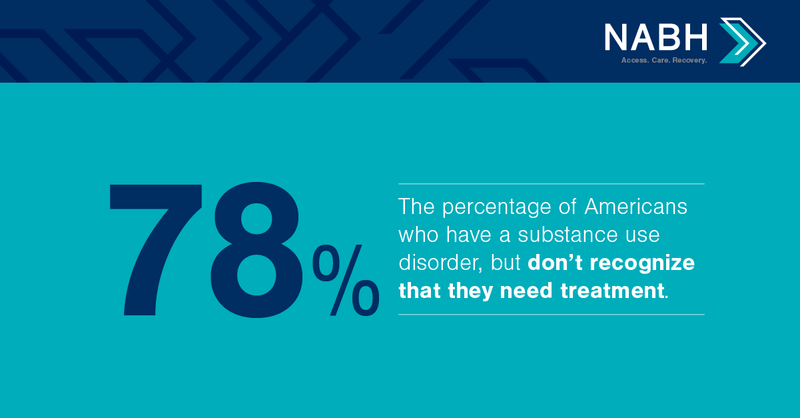 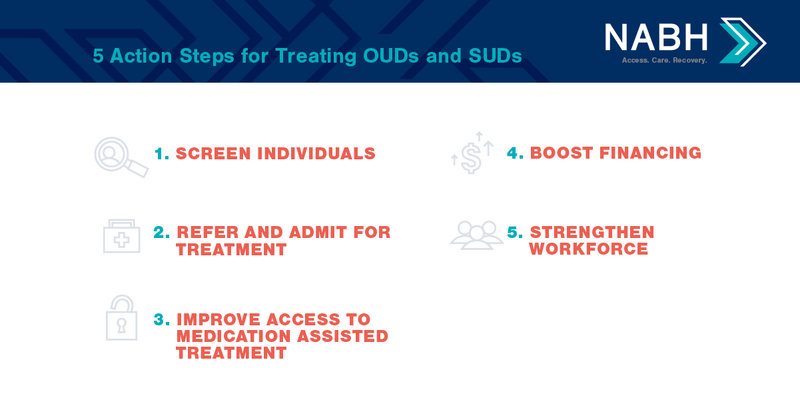 Financing for substance use treatment underpins all access to care. Despite some areas of improvement since the bipartisan Mental Health Parity and Addiction Equity Act (MHPAEA) has been implemented, consumers, providers, and family members continue to report high rates of denials, inconsistent application of utilization management between behavioral health and medical-surgical benefits, lack of transparency in decision-making processes, and more burdensome network requirements. Meanwhile, federal workforce projections for the year identify a labor shortfall of up to 250,000 behavioral health workers. 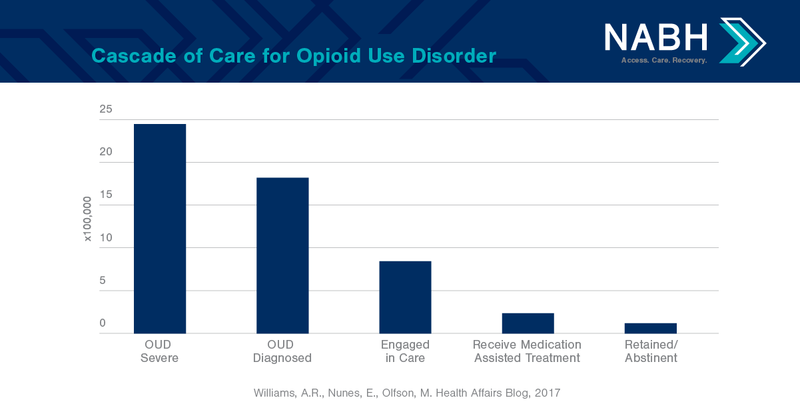 There are numerous drivers to the workforce deficit, including: educational institutions are not producing an adequate volume of new qualified professionals; existing workers across all professional disciplines—such as physicians, psychologists, nurses, physician assistants, social workers, and family counselors—lack addiction training; current low wages do not attract workers into this field; and care extenders are used poorly. 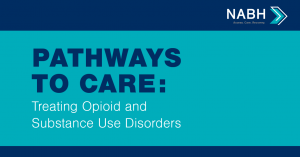 Pathways to Care: Treating Opioid and Substance Use Disorders offers practical and applicable approaches to fixing America’s frayed substance use disorder treatment delivery system. 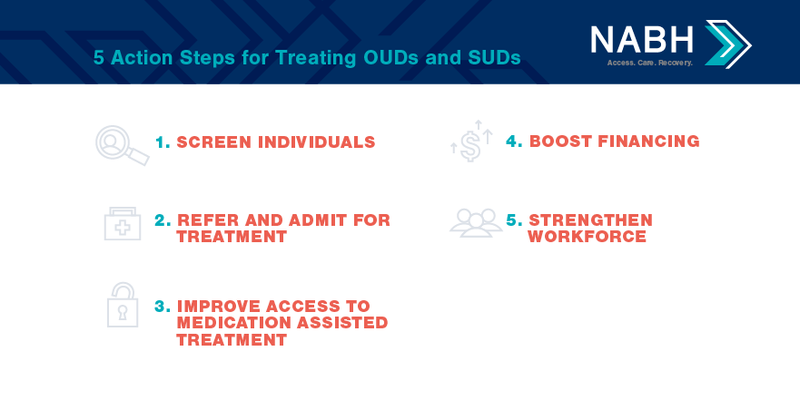 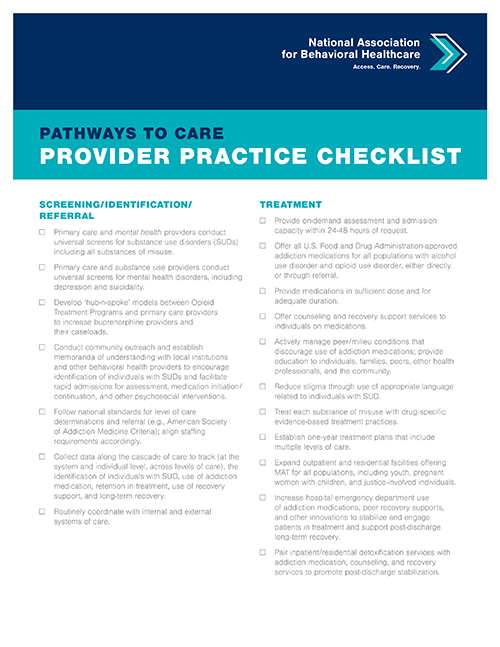 Pathways to Care: Treating Opioid and Substance Use Disorders highlights action steps for providers to establish and follow an effective pathway to care for addiction treatment. 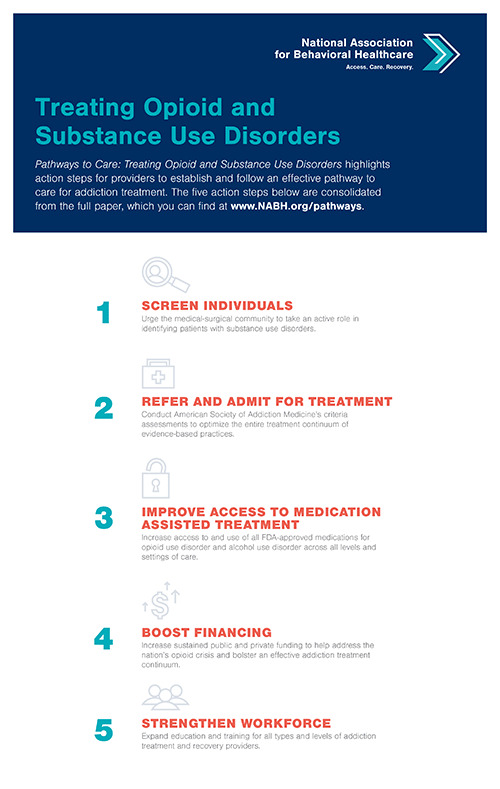 The five action steps below are consolidated from the full paper.